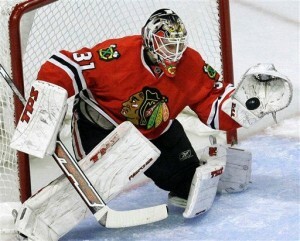 Antti Niemi will start in net for the Hawks. A lot of noise was flying around the Blackhawks practice today, so here is some clarification. First, Antti Niemi is starting in goal against St. Louis on Wednesday night. Next, Dave Bolland appears to be back at 100 percent and will play at the United Center on Wednesday for the first time since Nov. 5. Now, the heart of the buzz. Andrew Ladd warmed up with the team, and then left the ice for the bulk of practice. 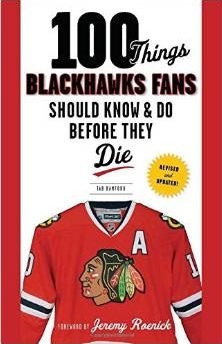 When Bolland slid into the center spot between Patrick Sharp and Marian Hossa, logic started to kick in that a seemingly-healthy Ladd might be on the road to O’Hare. However, according to coach Joel Quenneville after practice, Ladd left the ice because of a “lower body injury” and is expected to play against the Blues. Which begs the question: who plays where? Quenneville indicated that Bolland probably won’t jump into the mix for 20 minutes on Wednesday, and that the team would begin a rotation on the fourth line. Who sits on Wednesday hasn’t been determined yet, but odds are that it won’t be Ben Eager considering the physical history between the Blues and Blackhawks. ← Dave Bolland Back Wednesday? Then What?